My current post is Associate Professor in General Practice and Rural Medicine, based at Mackay Rural Clinical School which is attached to James Cook University College of Medicine and Dentistry. Mackay is a small town of 100,000 people in North Queensland, and is situated 400km from the nearest tertiary referral centre in Townsville, and 1000km from the nearest capital city in Brisbane. I am originally from the UK, and completed my medical degree at Liverpool University, and moved to Australia two years after graduating and settled in Queensland. I completed my postgraduate training in General Practice in Australia, and embarked on an academic career when the first cohort of JCU medical students arrived in Mackay in 2004. My major area of research interest is the GP management of skin cancer. I have been principle investigator in a series of practice based randomised controlled trials investigating wound management and interventions to prevent surgical site infection, some of which are ongoing. I am also interested in GP diagnostic accuracy and melanoma management. Other areas of interest are sexual health, otitis externa, immunisation, medical student assessment and systematic review. I have published 40 peer reviewed journal articles. I am originally from Piraeus, Greece. I completed my bachelor in Statistics in Piraeus and my interest in computer programming led to a scholarship in the National Technical University of Athens, where I completed an MSc and a PhD in computer engineering and a PhD. Immediately after this I presented myself for compulsory military service and served 17 months as a reserve officer in the Signals Corps, with a speciality in informatics. I completed my service in Athens, after spending 7 months in the northern city of Alexandroupoli. After a traumatic telephone interview I was offered a post in Manchester in 2005, to work as a research associate with primary care data, specifically with the Quality Management and Analysis System (QMAS) in the context of an incentivisation programme, the Quality and Outcomes Framework (QOF). Over the years I have used my computational background to delve deep into the torrent of data that is fast becoming available in health care, especially in UK primary care, and have been using even larger databases with patient level data, like the Clinical Practice Research Datalink (CPRD, formerly General Practice Research Datalink or GPRD). Although I have built a career as a health services researcher supported by a Fellowship from the NIHR School for Primary Care Research and various research grants, I still am a biostatistician and health informatician at heart. This enables me to investigate existing statistical methods, generate new approaches and implement them in advanced statistical software platforms, mainly in Stata. 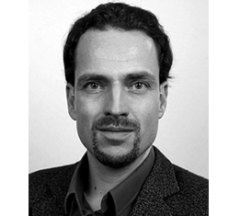 My methodological interests include computational statistics and simulation approaches, meta-analysis, structural equation modelling, data mining techniques, (interrupted) time-series analyses and validity in large health care databases. You can access Stata commands I have generated by typing net from http://statanalysis.co.uk/ within the Stata environment. 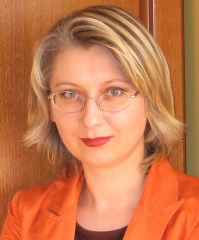 Dr. Iveta Nagyova is a Senior Research Leader and Head of the Department of Social and Behavioural Medicine at Pavol Jozef Safarik University in Kosice, Slovakia (UPJS; www.sbm.upjs.sk). She is also a President of the Section on Chronic Diseases at the European Public Health Association (www.eupha.org) and a member of the Platform for Healthcare Innovations at the Institute of Health Policies, Ministry of Health of the Slovak Republic. She graduated in Psychology at UPJS and obtained her PhD in Medical Sciences from the University of Groningen, the Netherlands. Her research interests are in psychological and social adaptive processes in patients with chronic disease. 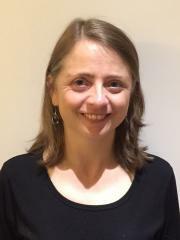 Apart from studying changes in quality of life over time and the psychological mechanisms of adjustment, her recent interests are in the wider implementation of this knowledge into integrated models of care as well as the links between behavioural medicine and public health. She is a (co)author of more than 70 peer-reviewed international scientific articles; her h-index is 16. As a project partner and national coordinator she has been involved in over a dozen European projects, including FP7 projects. Since 2004 she has served as a supervisor at the University of Groningen, the Netherlands, where she has been leading a group of 17 PhD students, 16 of whom have already defended their PhD theses. She also serves as an advisor to the WHO Country Office in the Slovak Republic and the Slovak Ministry of Health in the field of chronic diseases, integrated care and public health. 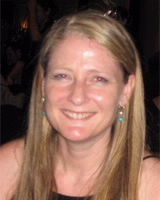 Deborah Swinglehurst joined Queen Mary, University of London (QMUL) in 2010. She is a Senior Clinical Lecturer and Deputy Director of the Unit for Social Policy and Practice in Health Care in the Centre for Primary Care and Public Health. She also works as a GP in Ipswich. Deborah studied medicine at Cambridge University and Imperial College London. She has held previous academic posts at Imperial College (1998-2000) and UCL (2004-2010). 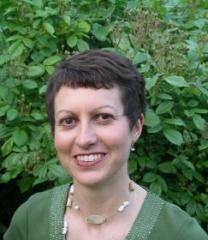 Deborah is an experienced qualitative researcher and educator. Her research explores interfaces between medicine, social science and linguistics. She has published widely on the role of electronic patient records in shaping organisational routines and clinical consultations in primary care, including ethnographic research focused on the working practices of nurses, doctors, reception staff and administrators across a broad range of activities: chronic disease management; repeat prescribing; coding and summarising patients’ records; expressions of professional ‘resistance’ to mandated IT programmes. 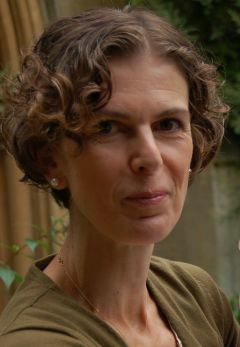 Deborah has recently led an initiative exploring the meanings of ‘quality’ in health care which has included organising a conference at Cumberland Lodge (2013), editing a special cross-journal collection of papers with Biomed Central (published 2015), and chairing a SAPC-sponsored public debate at QMUL (2015). She has just started leading some research within the Life Sciences Institute at QMUL (The interdisciplinary laboratory: facilitating new forms of ‘knowledge’ in contemporary life sciences) and is currently developing a project to explore medicines management in multimorbidity. Deborah became a Fellow of the Higher Education Academy in 2005 and a Fellow of the Royal College of General Practitioners in 2010. 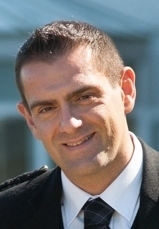 I joined the Centre for Academic Primary Care at the University of Bristol in 2004, having previously worked at the Medical Research Council’s Social and Public Health Sciences Unit in Glasgow. I am a senior qualitative researcher. My main research interests are integrating qualitative studies within randomised controlled trials and the management of depression in primary care. My work within trials has been used to improve their design, conduct and recruitment, and to inform the development of interventions, assess intervention fidelity and interpret trial results. Most of the trials I have been involved with have been in the area of mental health, which led to my interest in the management of depression. These trials and various stand-alone studies have allowed me to explore patients’ views and experiences of different treatments for depression, in order to identify ways to improve treatment adherence and effectiveness. I am a theme lead within the CLAHRC west, providing guidance and support to eight researchers employed within the Ethnography theme. I am also an affiliate member of the MRC ConDuCT-II methodology Hub, a collaborator on the University of Bristol’s Biomedical Research Unit, and a committee member for the NIHR Research for Patient Benefit (RfPB) South West region. My teaching commitments include leading the Human Basis of Medicine unit, which forms a substantial part of year 1 of the MB ChB degree course, teaching undergraduate medical students, contributing to short courses delivered within the School of Social and Community Medicine, and supervising doctoral and post-doctoral students.